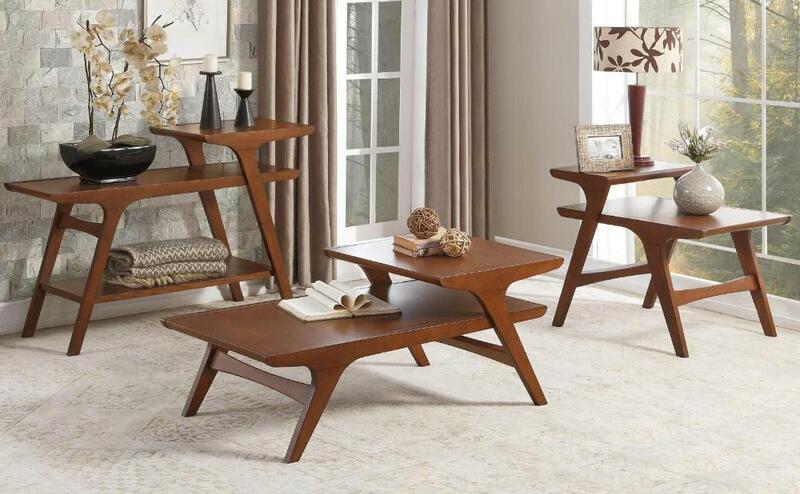 The classic look of Mid-Century modern design will not only prove to be a stylish addition to you home, but a functional one as well. The Saluki Collection's retro profile combined with the multi-layer design will serve as a tabletop display space and artful conversation piece. FEATURES: Brown Finish ~ Mid-Century / Retro Style ~ Tabletop Display Spacing.